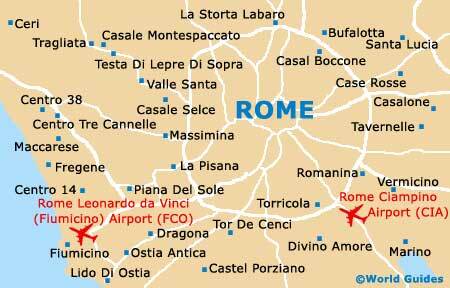 As the Italian capital, Rome comes with some excellent sports facilities and arenas. The Stadio Olimpico (Olympic Stadium) serves as the city's largest and most important sports facility. Playing host to the Summer Olympic Games of 1960, this giant stadium was built in 1928 and boasts an overall capacity now topping 80,000 spectators. The Stadio Olimpico is mainly used as a venue for football matches, although it does also stage some Italian national rugby union games, athletics championships and even the occasional pop concert. This stadium is actually part of the Foro Italico sports complex, which also comprises both the Stadio del Nuoto and the Stadio dei Marmi. Also worth mentioning is the Stadio Flaminio, which is located on the north-western side of Rome and is the homeground of the Atletico Roma FC. The beaches nearest to Rome are usually very busy in the summer and so it is often worth arriving early to avoid the crowds. There are many beach clubs that offer facilities, including cabanas and restaurants, and these either charge per day, week or month. Some public beaches are well maintained, but for the cleanest water and a more friendly resort-style atmosphere, you will need to travel slightly farther. A great way to see the wonderful sights of Rome is by bicycle and with plenty of suitable routes, this is a popular pastime, particularly when traffic is light. There are many cycle routes, including one that starts near the Vatican, travels north to the Foro Italico and then along the 4 mile / 7 km pathway next to the River Tiber. There is a choice of bicycle rental shops with competitive prices and rates usually include helmet, padlock and a free map of the city. Although golf is considered a somewhat elitist sport in Rome, it is currently gaining popularity throughout Italy. At many clubs, non-members are welcome, but membership cards of home golf clubs must be shown, together with proof of handicap, before you are allowed to play. Fees are usually based on a day's play, rather than per round, and it is not normally necessary to be introduced by a member. Fitness centres and saunas are plentiful in this capital city and many also include squash courts, aerobic courses, massage, sun beds and swimming pools. Rome's largest fitness centre is the Roman Sport Centre, situated in the Villa Borghese, a friendly complex which welcomes non-members. La Piscina delle Rose is a very popular, outdoor swimming pool complete with sun lounges, that is frequented by both locals and tourists. There are also a number of swimming pools that are part of hotels and allow non-residents to use their outdoor and indoor facilities, but rates tend to be fairly high. Every May Rome hosts the Italian Open tennis tournament, which has become one of the most important European clay court tournaments outside the Grand Slam. Both men and women compete in this popular event, in front of large crowds. There is a huge sports complex in the Foro Italico which has excellent tennis facilities and is filled with giant marble statues of Roman athletes. This vast building is situated nearby the Stadio Olimpico. There are also several friendly tennis clubs that are open to non-members. The local Concorso Salto Ostacoli Internazionale (CSIO) is Italy's largest annual show-jumping contest. Held in the amphitheatre of Piazza di Siena, in the stunning surroundings of the Villa Borghese, the actual arena is probably the most beautiful in the country. This international show-jumping competition takes place every year in May. There are also several riding schools and clubs near the city, where you can sign up for horse-riding lessons. Rome has two first-ranking football clubs which share the Stadio Olimpico, Associazione Sportiva Roma (AS Roma) and Società Sportiva Lazio (SS Lazio), and between them the teams have won three titles in Italian football's first division - Serie A. League games are traditionally played on Sundays, although matches may also be played on Saturday evenings and broadcast live on television. Cup and European games tend to be played mid-week. Tickets can be purchased either directly from the stadium box office or from club merchandising outlets. Held each spring, the Rome City Marathon is becoming a popular event and gaining international status, although it is essentially a Roman competition. Starting at the impressive Colosseum, this annual race is run on the second Sunday in March and starts at 09:30. The route passes through some of the city's most beautiful squares, including both the Pizza Navona and Piazza di Spagna.